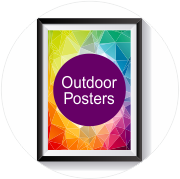 Bring your artwork to life with an eye-catching indoor/ outdoor poster! At Bath Signs we know how effective a well designed poster can be, that's why we strive to offer you the best, high quality poster printing available. Whether you are looking to display information on an upcoming event or create a buzz around your latest promotion, you can't go wrong with a vibrant, full colour poster. 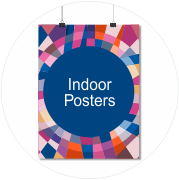 Our indoor posters are printed onto either 220gsm gloss or 200gsm matt poster paper and our outdoor posters are printed onto white 440gsm PVC. We can print posters in the following sizes: A2 (594mm x 420mm), A1 (841mm x 594mm) and A0 (1189mm x 841mm). click here for printing prices.